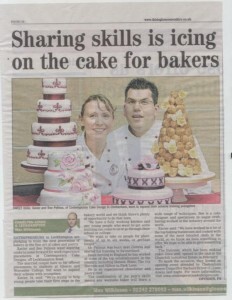 We are in the news!!! Contemporary Cake Designs have finally launched their new premises Studio E with a bummer two launch parties in one week. IT was a great turn out with The Mayor of Cheltenham, local MP and many other coming along to support them. 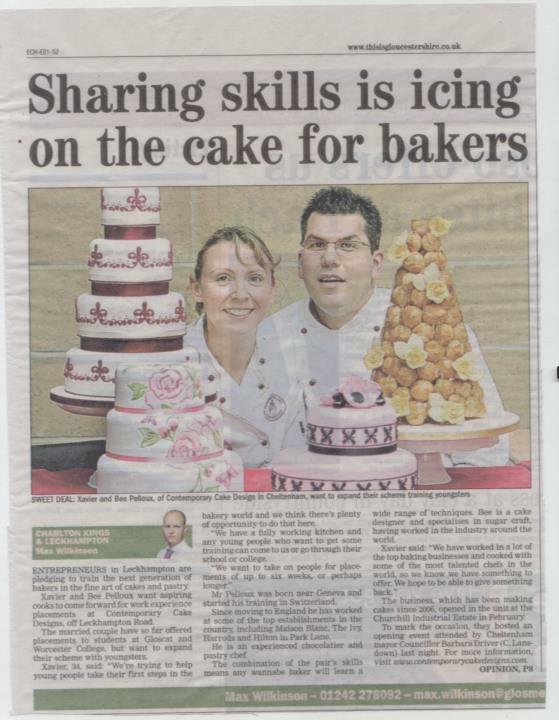 They are proud to have been featured in the local Echo newspaper twice. Contemporary Cake Designs would like to say a big thank you to Becki our very first work placement. We had a great week with Becki showing her many different things and hope she has left us wanting to learn more.